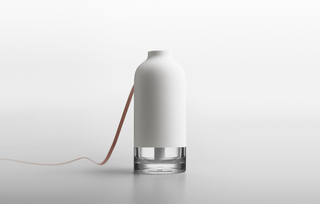 See more objects with the tag container, drinking, vessels, revolve, carafes, modern, lids. 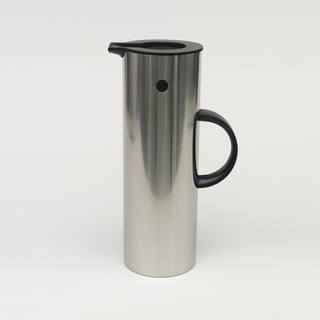 This is a thermos carafe and lid. 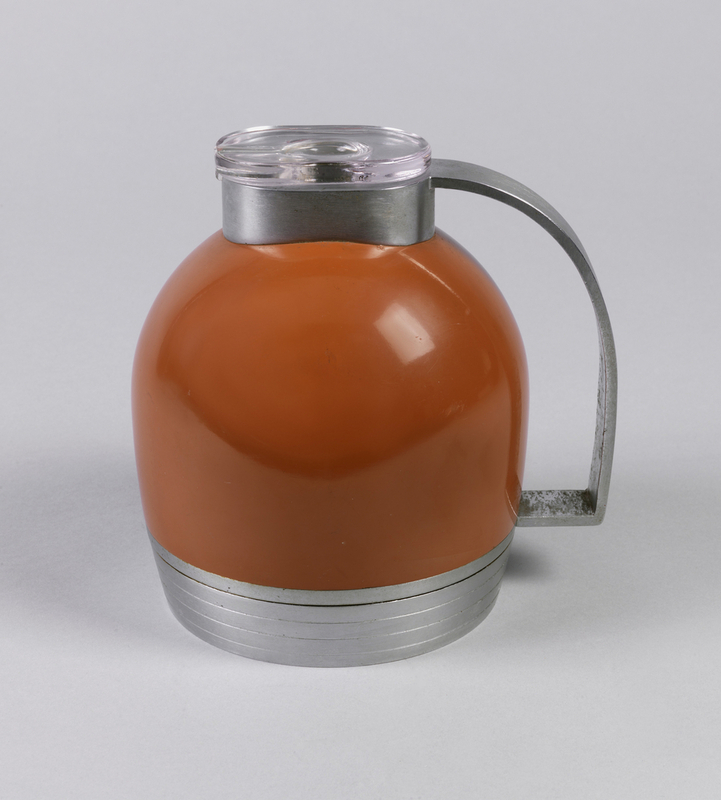 It was designed by Henry Dreyfuss and manufactured by American Thermos Bottle Co.. It is dated 1936 and we acquired it in 1991. 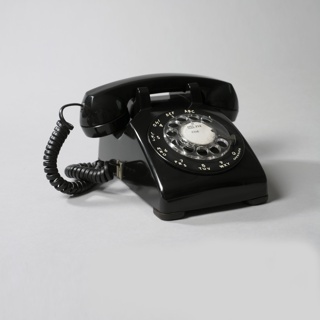 Its medium is aluminum, bakelite, glass. It is a part of the Product Design and Decorative Arts department. 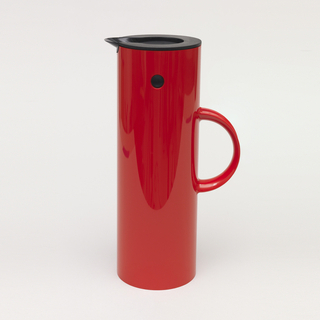 Henry Dreyfuss was one of America’s pre-eminent industrial designers, responsible for the design of many iconic objects in the streamline style. 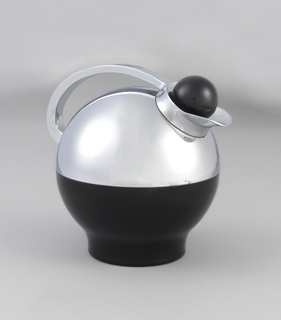 This thermos carafe designed in 1936 for the American Thermos Bottle Co., is a pure reflection of streamlined style, with its nod to aerodynamics by using soft, rounded forms and horizontal banding to represent the value of industrial production. 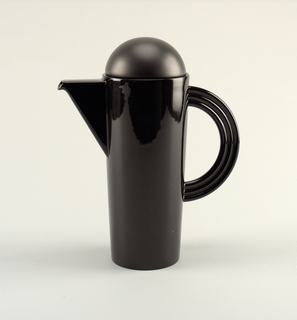 To emphasize this vessel's streamlined appearance, Dreyfuss employed the industrial materials aluminum, glass and the thermoplastic Bakelite. 30.1 x 16.5 x 11.6 cm (11 7/8 x 6 1/2 x 4 9/16 in. ).